Crazy in Suburbia: Medical Center diaries: Once upon a time when we liked O.J. Medical Center diaries: Once upon a time when we liked O.J. Once upon a time, O.J. Simpson was a handsome, engaging football star, poised to become a leading man of TV and film. 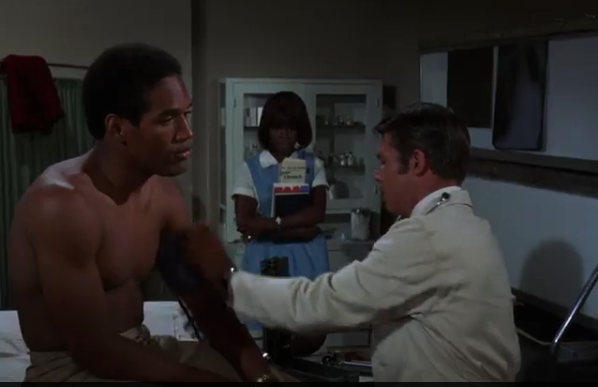 To gain some more acting experience, Simpson, fresh off his Heisman Trophy win and apparently still a USC Trojan, guest-starred in the series premiere of Medical Center on September 24, 1969. In the episode, "The Last 10 Yards," played -- what else? -- a football star but with serious health problems at the UCLA-type school where dashing surgeon Dr. Joe Gannon is also head of student health and team doctor. True to Medical Center offering a showcase for future A-listers, the episode also guest starred Cicely Tyson as Simpson's wife and Edward Asner at Simpson's coach. 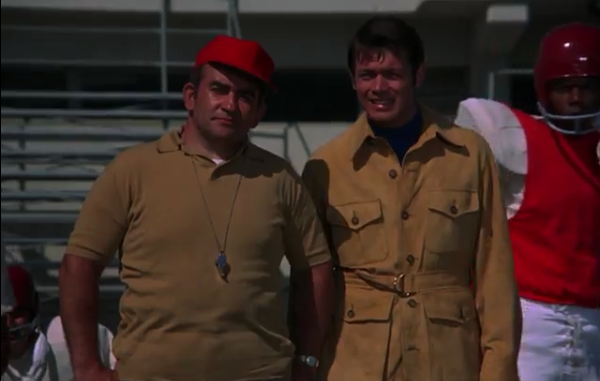 A few years later, Tyson was nominated for an Academy Award and would win or be nominated for numerous Emmys. At one point in the episode, she has a dramatic scene where she rails against the white establishment of coaches, college football and fans who want to exploit her husband and risk his health so he'll keep playing: "You did it to him, you honkeys! You’re the ones with the money, you held it out in front of him, just outside of his hands. You let him kill himself for it!" And, of course, Asner: America fell in love with him as newsman Lou Grant, the grouchy boss of Mary Tyler Moore in her classic sitcom, and the eponymous hero of the journalism drama Lou Grant. As for Simpson? Well, he never became the next Sidney Poitier or even Billy Dee Williams. He did some more acting in supporting roles in movies in the 1970s, showed off a goofy side in the Naked Gun comedy trilogy, and became a Monday Night Football commentator and pitchman for Hertz rental car company among others. In 1994, he filmed a two-hour TV pilot, Frogman, in which he played the leader of a group of former U.S. Navy Seals. But the pilot never aired because Simpson was arrested for you-know-what in June 1994. Warner Archive has so far made available five seasons of “Medical Center" via streaming, as well as thousands of rare, classic and other hard-to-find TV shows and classic films from the 1930s onward.